That's the nutshell version, the first four paragraphs of the Washington Post story which confirms what Ron Suskind told us two years ago. By the way, the idea that Suskind's reporting couldn't be confirmed, so no one else touched this, is, well, bogus. Barton Gellman interviewed Suskind and reported on his books allegations in the Washington Post in 2006. What has changed is as much the willingness of the press to report as it is, per Suskind last night, the willingness of Administration officials to talk. We knew torture didn't work. ABC reported it two years ago, independent of Suskind's work. One argument in favor of their use: time. In the early days of al Qaeda captures, it was hoped that speeding confessions would result in the development of important operational knowledge in a timely fashion. However, ABC News was told that at least three CIA officers declined to be trained in the techniques before a cadre of 14 were selected to use them on a dozen top al Qaeda suspects in order to obtain critical information. In at least one instance, ABC News was told that the techniques led to questionable information aimed at pleasing the interrogators and that this information had a significant impact on U.S. actions in Iraq. This, of course, shouldn't surprise anyone either. Torture is by definition the intentional infliction of cruelty upon another person. It's hardly an accidental condition of detention or interrogation, an unforeseen by-product that "just happens." Still, like calling a public figure a liar, we can't seem to bring our public discourse to the level of complete honesty. Cheney was convinced justice is gone from the world, which left only force. He's made that point clear since he left the White House: Obama is dangerous for America because Obama won't put all his trust in American force. Except force is no what got us into this mess. And who can hale the US into a court of law? Well, Spain may try. If they succeed, it will be only if the six under investigation travel outside the US and, in an ironic twist on those who depended on "extraordinary rendition," they can be seized and brought to Spain. Again, as Rachel pointed out last night, this is how the same judge obtained jurisdiction over Pinochet. Success in convictions would also mean Cheney and Bush were vulnerable to such arrests; but I'm dubious about any foreign power going up against US Secret Service agents in order to forcibly detain a former US President of Vice President. 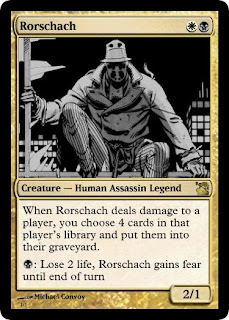 When justice is gone, there's always force. That's Dawn Johnson writing in April, 2008. The immorality, the injustice, the unethical behavior, has been apparent from the beginning. Only now are we apparently willing to look at it. "Intentional cruelty was part of the White House's motive." Well, of course it was. Justice was gone; there was only force. Cruelty is all about force. It's about my ability to inflict suffering on you, because I can, and you can't stop me. Set, need it be emphasized, on injustice. On cruelty simply because we can be cruel. The cure, of course, is not to stop the cruelty. The cure is to enact justice. Justice is not merely the absence of further cruelty. It is the presence of right, and righteousness. Oppression, of course, is just another kind of injustice. Justice is gone; Bush and Cheney dispensed with that. Force is gone: the inauguration of a new President transferred that obligation, and responsibility, and even duty, to another. No. I think there's, there's always an ethical and a moral element that has to be, be a part of this. Now, he mentioned that in the context of a question about his moral or ethical concerns with allowing stem-cell research, so it wasn't completely off the wall, and it wasn't an answer pandering to a constituency. But it's a good general statement, one he seems to govern by anyway; and ethics and morality have a way of not staying in one place or limiting themselves to issues that only seem to directly involve ethical questions; into areas like the economy, for instance. I suppose rather than pay taxes on my income, I'll give it all away so it isn't spent on armaments and war and other things I'm opposed to. I'm sure the IRS will let me do that, as it will allow Mr. DeSantis to decide how to bestow his charity on the world. But that isn't really the point, is it? The point is: whose money is it, and whose financial system? Mr. DeSantis contributed to one of the companies most singly responsible for an international collapse in financial markets, one that has nearly ruined the economies of whole countries, put millions out of work, cost over $1 trillion on lost wealth in America alone, and for which, he is eager to point out, he is not at all responsible. Since he isn't directly responsible, he shouldn't be required directly to pay. Money is not fungible, in Mr. DeSantis' world, any more than responsibility is, so he wants to be left alone to enjoy the $742,000+ bonus he richly deserves. After all, he worked more than 40 hours a week for it, and he's sure he did a good job; so he deserves it. Mr. DeSantis would probably like that part about tax collectors; and if he could see himself as the modern equivalent of a Roman soldier (in many ways, he is), he wouldn't like the implications of the Baptist's command, though he might say that's all he's trying to do by keeping his bonus and, apparently, "going Galt." But he isn't, of course; indeed, self-awareness is the whole problem. For that lesson, we'd need something less specifically religious, and less aimed at those who come to the prophet in the wilderness for guidance, and more aimed at those, like Mr. DeSantis and his disgruntled colleagues, who don't. Mr. DeSantis might well argue that he needs to take more, that he works 14 hours a day away from his family; but then we could introduce him to the migrant workers and those in our country who spend years away from their family, working for minimum wage or less, for as many hours a day as they can get paid for. And we can tell him over and over again: "You do wrong to everyone you could help, but fail to help." And it doesn't even have to be a religious message. It's another sign of a society in transition by way of technology, as businesses shed physical addresses for cyberspace and homeless people can establish an online presence and chase opportunities digitally. "Having a phone isn't even a privilege anymore -- it's a necessity," said Rommel McBride, 50, who spent about six years on the streets before recently being placed in a city housing program. He has had a mobile phone for a year. "A cellphone is the only way you can call to keep up with your food stamps, your housing application, your job. When you're living in a shelter or sleeping on the streets, it's your last line of communication with the world." Advocates who work with the District's homeless estimate that 30 percent to 45 percent of the people they help have cellphones. A smaller number have e-mail accounts, and some blog to chronicle their lives on the streets. The hierarchy of needs depends entirely upon what civilization you live in. Maslow's hierarchy of needs tells us what is basic to human existence, but it also makes us presume civilization as we know it is the foundational human condition, so anything that deviates from that condition is sub-optimal or even sub-human. Thus do we brand "the poor" both within society and outside our social realm. We imagine, for example, that those living without the benefits of "civilization" live in the state of nature described by Hobbes: red in tooth and claw, where life is nasty, brutish, and short. Our shorthand metaphor for this is "The Lord of the Flies." And we don't mean Satan, the Father of Lies, who originally bore that title; we mean the William Golding novel. But then what do we do with the natives who were living in America before the Europeans came? Who built societies as complex as that at Cahokia? Or invented games we play today (lacrosse)? Or lived in the cliffs of the American West? Or what about the Trahamura? The Trahamura live in Copper Canyon, in Mexico. They are described as "one of the most healthy and most serene people on the planet and perhaps the greatest runners--able to cover hundreds of miles without rest." Of course, health is subject to measurement, but serenity? And is either an absolute state? No; nor does their example put the lie to the achievements and benefits of civilization, nor of modern industrial society. But we know of counter-examples to the generally accepted idea that civilization = "good," and uncivilized life = "bad." It helps, in what follows, to consider the contrasts between the two, and how unclear, in some ways, they are. We may still seek to fulfill Maslow's needs, but how we do it depends as much on what is required of us, as of what is expected. Homelessness in some cultures might simply be unimaginable. It wasn't for the Anglo-Saxons who imagined the Wife's Lament, or The Wanderer's story. Perhaps the ptochoi of 1st century Palestine had homes; or perhaps part of being ptochoi was to be like Jesus' self description: birds have their nests, foxes their dens, but the Human One had no place to lay his head. No place, and every place. But homelessness: that is rock bottom poor; that is destitute with a capital "D"; that is poverty pure and simple. So when a man shows up in a soup kitchen line with a cell phone, it's hard for some to imagine he is homeless. Surely someone without a home is also without a phone. Surely one of the concomitants of losing your home, is to lose everything else first. Maybe, of course, he wasn't even there to eat, but just to see the First Lady in person. But if he was, how dare he not have lost everything when he lost his home! Loss is not like that, of course. You aren't stripped of what you own when you lose the single most important marker in industrialized society: a place to live. You lose big things, like the ability to pay rent or a mortgage, but you still have the items you purchased along the way, most of which are virtually worthless except as conveniences or, in a very few cases, necessities for you. Most of what we consider "necessities" are valueless without a home around them: towels; kitchen supplies; bedding; furniture. But those things don't go first: they linger. And there are the homeless who live in tent cities, and the homeless who live on the streets, and the homeless who are on and off the street, depending on their situation at the moment. So there's our root level problem with poverty: we don't understand it; we fear it; and we condemn it. Because poverty, at it's base, means the machine has failed; it means the machine is capable of failure. It means civilization as we know it is not the provider of all that is good and true and pleasurable. It means either that civilization is a capricious god, or that there, but for the grace of God, go I. And we don't much believe in God's grace anymore. We don't put much stock in what grace provides us. We believe in our own efforts. We believe in the treadmill and our ability to keep up with it, and we know secretly that if we don't keep up, the treadmill will be relentless, and will grind us up rather than pay attention to our plight. The poor remind us the machine doesn't care about us, either; that we could be them. So how dare they look too much like us? How dare they seem too close to us for comfort? How dare their poverty be, not a chasm, but a narrow crack we could as easily step across? How dare their condition be separated from ours only by the next paycheck? What has civilization wrought, if this is the only comfort it can give us? This isn't a recent phenomenon, either, a result of the sudden stock crash or financial industries collapse. Poverty and homelessness are as American as our prosperity. Nor does it respect age. A new study reports 1 in 50 children are ptochoi in America. And the numbers are from 2005-06. How much worse is is now, and into the future? The study also points out what states do the poorest job of helping their poorest and most defenseless citizens. What is the virtue of civilization, if this is as much help as it can offer? ὅτι ὑμετέρα ἐστὶν ἡ βασιλεία τοῦ θεοῦ. "Your possession is the kingdom of God." Anyway, so yesterday Dwaine was at Obama's town hall meeting in Costa Mesa, as The Ticket and many others reported. And he was recognized by the president and read off his carefully-prepared index card about being laid off after 13 years of good work with Toyota but now was having trouble finding a new job to support his family because of a past felony conviction. And what could he do? And the president was very sympathetic and said he was surprised and would have expected the layoff from an American car company because Toyota had done so well. Well, it turns out the burly, 45-year-old Norwalk resident wasn't exactly laid off. He and Toyota agreed today that he took a voluntary buyout. His choice. He's still looking, if you're hiring. But how he got where he is turns out to be a little different than he first described on national TV. There's alot being imagined here, including, as Alex Koppelman points out, the "fact" that the man with the cell phone is "homeless." Notice how much power this poor person has. He has taken "all our money" and spent it on frivolities, much like the woman with multiple children driving her Cadillac to the government office to pick up her welfare check Ronald Reagan used to warn us about. Media Matters points out the soup kitchen where the famous photo was shot is a private affair, so the outrage at who they serve is misplaced. It isn't, though, because the outrage turns on what is "ours." And if "our" culture, our "machine," can result in these kinds of failures, failures for people who can afford cell phones (like me!) or can get bought out of their job and not retire in comfort (that could be me! ), then we're back to Maslow's hierarchy of needs, and the foundations of that hierarchy seem mighty shaky indeed. If there but for the grace of God go I, what keeps that person from being...well, I? And if the machine is no kinder, no more gracious, no better at providing to him, then it could prove to be no help to me. The issue turns on more than imagined cheats, however. It turns on the issue Frank Rich identified: how much of what is ours, is actually ours? The true American faith endures in “Our Town.” The key word in its title is the collective “our,” just as “united” is the resonant note hit by the new president when saying the full name of the country. The notion that Americans must all rise and fall together is the ideal we still yearn to reclaim, and that a majority voted for in November. But how we get there from this economic graveyard is a challenge rapidly rivaling the one that faced Wilder’s audience in that dark late winter of 1938. We rise and fall together; but how easily we forget that. Kings forgot it at their peril (just ask Louis XVI). Democracies are no different. 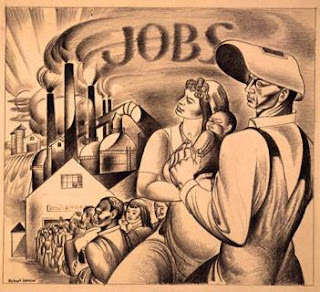 As Rich points out, income disparity was at its greatest in America just before 1929. It was so again between 1970 and 2008. Consumer debt was also 100% of GDP by 1929. It is again, today. 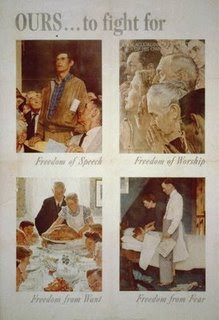 The Four Freedoms Norman Rockwell illustrated arose out of the experience of the Great Depression and World War II. That much is obvious from the inclusion of "Freedom from Want" in the pantheon, along with "Freedom from Fear." We are, or should be, back to considering them. We are back to considering what our possessions are, and what they are worth, and what possessions are truly worth having. Μακάριοι οἱ πτωχοί, ὅτι ὑμετέρα ἐστὶν ἡ βασιλεία τοῦ θεοῦ. But is that a possession worth having? And if we have it, what do we do with it? *I have to note that this, like the scourging of Timothy Geithner, seems to be an entirely blogosphere phenomenon. Keith Olbermann practically runs a video-blog five nights a week, and he never mentioned this story. Rachel Maddow didn't pick up on it, either. Maybe Joe Scarbrough mentioned it, but it never really got beyond a blog story. The failings of Tim Geithner are suffering the same fate. 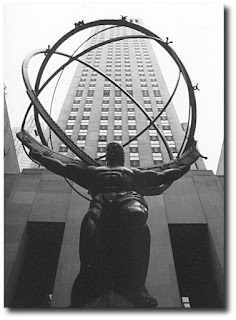 Paul Krugman excoriates Mr. Geithner in his blog; most of left blogistan seems to despise Mr. Geithner. No one, of course, comments on the complexity of the problems he faces; except Pres. Obama, and most of the mainstream media, which may pick up the story du jour out of Washington, but are hardly keeping up the drumbeat of "FAIL FAIL FAIL!!!" that's resonating in the blogs. Once more, blogs are like poetry; they make nothing happen, but survive in the valley of their own making, a way of happening, a mouth. I called it "vulture theology:" the idea, prevalent among more than a few clergy, that people would "return to church" as they got older, or faced mortality, or just ran into the trials and tribulations of living. It made us sound like a particularly gruesome set of undertakers, sure that we'd "get you in the end." Nothing succeeds by awaiting failure. This isn't a zero-sum game. The long slow retreat of the churches into less and less significance in the life of the country, and even in the lives of the majority of their members, continued almost unabated. Moral Man and Immoral Society was published in 1932. My one quibble: Rich is thinking of the movie, not the history. I think the exodus of fundamentalism from the halls of power will be at least that long, though it may seem slow in going. But I also know people still fighting the battles to distinguish Protestantism from Roman Catholicism, fights that erupted 500 years ago. Vanity of vanities, all is vanity and striving after emptiness. Inherit the wind, indeed. Where have all the labor journalists, labor newspaper sections, and labor basic cable channels, gone? It is tempting, but also tempting misinterpretation, to speak of morality and ethics in terms of religion. But religion is first and foremost about responsibility, not about personal benefit. And responsibilty was exactly what Jon Stewart demanded of Jim Cramer last night. Mr. Stewart didn't present it as a religious issue, but he challenged the selfishness, the amorality, of business news reporting which Mr. Cramer's show characterizes. As Jim Cramer himself acknowledged, he made money in a hedge fund for years, long before his TV show. The show for him is not a necessity; it's a rich man's hobby. As Stewart said, it's a "game." Except it isn't. The disconnect between Cramer's bubble and the world the rest of us live in couldn't have been clearer last night. And it's not surprising a comedian, a clown, was the one to show it to us. There is plenty to say about the place of the fool, about the role of the trickster, the joker in the pack, the revealer of the lies we all live by, until they fail us. The jester is the outsider, the one who throws darts at our inflated complacency, who punctures the balloons of our self-righteousness. But he can also be a moral agent. There is an old Christian tradition regarding Christ the Fool. It is of a piece with the paradox of the power of powerlessness. Mr. Stewart has no power, other than his soapbox. He doesn't direct people in how to live their lives or structure their behavior, either personal or financial. What he does is hold accountable those who do, much like the court jester, or even the trickster. The ancient "Feast of Fools" was a way of doing this. It was a way of recalling us to the real value of morality, even to the kerygma of the basiliea tou theou, where the first are last, and the greatest of all is the servant of all. Consider the value of that, apart from any particular religious claim it might have. Consider the value of humility, the power of a critical moral stance. Consider what Jon Stewart did last night. His jokes earlier stirred a tempest in the cable TV teapot. Now we'll see whether his serious questions stir any self-reflection in those who consider themselves the ruling class. And whether they stir any consideration of an ethic, a morality, that is more transcendent than the questing after status, the interests of the shareholders, the competition with the other traders and multi-millionaires. Nothing sweeping, of course, will happen. Even after the emperor was mocked for parading naked, he simply ran inside and put on clothes. He was still emperor; nothing fundamentally changed. But it's good to tell the truth, anyway. Truth is its own reward. Now we'll see how much it changes things; and especially, how much we demand that it change things. In the final analysis, it's always up to us. The ARIS study is being taken, by those who notice it and whom I notice, as news; and that's my first problem with it. It doesn't tell the churches anything they haven't known for decades. If it indicates a sharp increase in the decline in mainline church attendance since 2001 (to mix metaphors, or indicators, or something), I think the churches have noticed that, too. I can see it in my neighborhood, and attribute the decline as much to changing demographics as to huge cultural indicators such as "authoritarian preaching" in "fundamentalist churches." In my immediate neighborhood I can count at least a dozen mainline churches, some across the street from each other, all old and established. The majority are Baptist, but there are also Nazarene, Presbyterian, and UCC in the mix. One relocated recently because it was close to the freeway expansion, and it took the opportunity to move. The rest haven't been so lucky. A large (judging by the size the facility) Baptist church finally gave up the ghost a few years ago. A non-denominational church (which started from my former church, decades before I was ever there. The story is they split with the church over the decision to recarpet the sanctuary. No, I'm not making that up.) down the street from my old church, changed hands and moved away to a new facility. Most of the churches still in the area and still mainline, are suffering declines in membership, all because the demographics of the area have changed. This neighbhorhood was the "new" neighborhood a few decades ago. It suffered badly in the oil shock that nearly wrecked Houston, and recovery came through an influx of Mexicans, Vietnamese, Koreans, and generally poor or lower income folk. It had been a white enclave built by executives and middle management types in large corporations. (Ironically my church in Austin had suffered the same fate in a different decade. It was built in a white, middle to upper middle, "new" neighborhood, and then suffered a decline as the industry built there and providing the people for the houses, moved across town, taking everyone in the houses with it. That church finally relocated, too.) The churches here that couldn't, or wouldn't, relocate, suffered a sharp decline in attendance. Those declines have not abated, despite the fact there are several Korean and Mexican churches in the area, all new (and not included earlier in my counting of churches around me). Most of the Korean churches are Presbyterian, and most of the Mexican (or Hispanic, if you prefer) churches are some brand of Mexican/Central American Pentecostal. There is a thriving one at the end of my street, not 100 yards from where I sit now. But it reflects the neighborhood, not a changing interest in religion. Daystar was a country church called Glory Hill Church of God when Lawson arrived nearly nine years ago. The church "relaunched" itself in the pattern of an urban megachurch in 2002 _ there's Starbucks coffee in the lobby and video screens everywhere _ and took off. "In the next seven years 100 people became 2,000 people," said Lawson, who sports the hip, young megachurch look _ short hair, a goatee and dark clothes, minus a tie. The church has a second-hand clothes shop for needy neighbors, and Lawson said it sends out 100 volunteers at a time for local work days. Members even are trying to raise $10,000 to put new sod on the baseball field at the local high school. That's a church in rural Alabama. It draws 2000 people a Sunday, has a nearly $6 million building, and draws people from 45 miles away. The church's attendance is slightly larger than the entire population of Good Hope, which has three other churches in its town limits and five others within a stone's throw. The community is a mix of farm homes, middle-class subdivisions, mobile home parks and a few McMansions. That is NOT a neighborhood church. And it is following the pattern of megachurches across the country, because it's next goal is to set up "satellite churches." It wants to be its own denomination, in other words. The temptation with news like this, or the ARIS study, is to jump to conclusions and extrapolate this data in to the future. A little knowledge, however, is a dangerous thing. For one thing, casting mega-churches far into the future is assuming the future will look just like the past; and already, the past ain't what it used to be. The rampant hedonism and consumerism of the past decades may already be fading. That is not to say it is gone and will never return. There are no "sea changes" in American history, no sweeping away of the old in favor of the wholly new. But the peculiar circumstances that promoted the corporate business model as the foundation of all human institutions, may well start crumbling. If people find it harder to pay for Starbucks, whether the one on the way to work or the one in the church lobby, they may also find it hard to pay for multi-million dollar church buildings. It happens to mainline churches all the time; no reason to suppose mega-churches are immune. Is there a larger picture here? Yes, but I think it's obscuring the reality of the smaller one. Church was once a social obligation. It simply isn't, any more. My experience in community college teaching reveals that, more and more each year, any mention of once familiar Christians stories, from Noah and the Ark and Jonah and the Whale, to the Sermon on the Mount of Paul's experience on the road to Damascus, draw blank stares. Most of my students in the private high school where I've taught for 5 years now, don't even attend church. The Christian stories which were once the foundation of our common cultural heritage, are increasingly as unfamiliar as foreign countries. We have not, in a confessional or a cultural sense, been a Christian country for some time now, and the change is accelerating. Pastor Dan attributes this in part to Moralistic Therapeutic Deism, but I think that's being too optimistic by half. MTD is a concept I'd like to explore more carefully later, but my experience is that more and more Americans, especially young Americans, are not deistic in any sense, nor are they necessarily atheistic, because that term has come to imply an antipathy toward religion (Madalyn Murray O'Hare; Richard Dawkins; Sam Harris; Christopher Hitchens, all come to mind as modern exemplars). They are simply a-theistic, as in "non-theistic." They have no real concept of God, and they don't feel the need for one. Which pretty much models the findings of the ARIS study. Which means Christendom is dead; or at least, it's barely breathing on its own. On the other hand, if MTD is a valid concept, and if its underpinning is being removed, this may not present a crisis to the church, so much as it presents an opportunity. What I think is more insidious, though, than wingnut dentists’ cutting back their hours or Mrs. Instapundit cutting back on whatever it is that she normally does, is the widespread belief among elites that they and their colleagues are indispensable men. Like one of JMM’s readers, I fear that Geithner thinks that our economy would be decimated if we forcibly Galted the geniuses who ran our financial industry into the ground. I fear that when Andrew Sullivan and Joe Klein gush about the greatness of David Brooks, it’s because they view themselves and each other as a d’Anconia-Danneskjöld-Galt punditocratic triumvirate that may yet save the world from unseriousness and blogofascism. I even fear that when Villagers praise Obama’s “political gifts”, they’re doing so for the same reason they praised George Bush’s cowboy gut instincts; that is, because they feel that the talents of leaders in Washington reflect upon its scribes. To put it simply, I fear that we are now ruled by incompetent egomaniacs who will never blow the whistle on each other, no matter how bad things get, because to do so would be to admit that none of them is indispensable or brilliant after all. First, let me nitpick: we aren't being "ruled" by anyone, except those we put into positions of power. Bush saw that position as one of power wielded for the benefit of the elite, who would then benefit the people in some measure of trickle-down. Obama sees it as a position for the people. But he's no Andrew Jackson populist; he's smarter and better than that. So let's start by shedding all the blogging habits we acquired in the Bush years, and learn to look anew at what our political process has wrought. I honestly imagine the response of society to "going Galt" would be that no one would notice or, at worst, the rest of us would see it as an opportunity for even more wide-spread populism, and an opportunity for those of us shut out from the world of the "elites" precisely because they drew up the ladder and want to keep the boot in our face, and not because their superiority in any measure placed them far above us. But the silliness of the post is in the argument that Obama is somehow enabling these whiners with his economic policies. I've noticed before that those without responsibility for a situation see it abstractly, a matter of predicting the future and then declaring the present must conform to the expectations of what could, or should, come. I also note that very few people have anything better than a badly cracked crystal ball. Dr. Roubini may have been right that the economic conditions could not sustain forever; that does not mean he's right about what can be done about this situation now. Not because Dr. Roubini has reached the limits of his knowledge (nor Dr. Krugman, for that matter) but because neither Rubini, or Krugman, nor the bloggers, are responsible for what happens next. It's quite a different matter to offer abstract and theoretical solutions to problems, than to be responsible for what is happening today, and for the consequences of your actions in the future. To make one simple observation: if the Administration decided to take over AIG, which has effectively underwritten the world financial markets and whose collapse would introduce chaos into those markets on a level that would, as Ben Bernanke has told Congress, would mean we'd stop talking about the "Great Depression" and mean 1929, what would happen if it turned out to be too big not only to fail, but to bail out? At the moment, the world markets all happily persist in the illusion that Citi and AIG and other institutions are solvent, when anyone can see they are not. We are all agreeing the emperor has lovely clothes, because we can't risk the catastrophe which might occur if we started acknowledging the emperor is naked. To switch metaphors, if the towering inferno of toxic assets started to fall because of government action, and the government couldn't stop it (if only because the estimates of the value of those assets on the books of these international institutions exceeds the GDP of almost all the countries of the industrialized world, combined): what would happen? If the tower starts toppling, who will stop its fall? It may be the tower is going to topple anyway, and nothing we can do will stop it. But none of us have a crystal ball that clear and accurate. And is it better to push the tower over and be done with it? Can we really afford that risk? Let he or she who has returned from the future with perfect knowledge give us the correct answer. But honestly, I'm neither that surprised, nor that interested. Partly because this affirms my analysis that Protestantism, far more than Roman Catholicism, depends on the culture for its identity. Notice that 90% of the decline in those who identify as "Christians" is from "the non-Catholic segment of the Christian population." "Freedom of worship" more and more means freedom not to worship, too. Mega-churches, of course, thrive on telling you what you want to hear, as most preach some variant on the Gospel of wealth, or promise healing. The few who have turned away from that message, or any message of power, toward a message of service, do so knowing they face an uncertain future. It will be interesting to see how popular the Gospel of Wealth remains in a world economy rapidly retrenching and declining, but interesting only to those who favor abstraction over reality, thought experiments over the real pain this economic "reset" is causing, and is going to cause. "It looks like the two-party system of American Protestantism--mainline versus evangelical--is collapsing," said Mark Silk, director of the Public Values Program. "A generic form of evangelicalism is emerging as the normative form of non-Catholic Christianity in the United States." Well, maybe; but in what form? In the form of Joel Osteen, promising wealth to all who truly believe? In the older American form of Kenneth Copeland, promising healing (Oral Roberts was there first, and before him a long line stretching back through all the inspirations for Elmer Gantry)? In the form of Mars Hill Church, with its almost militant emphasis on badly distorted and poorly understood Calvinism? Or at the other extreme, in the form of Protestant ministers aping Catholic practices for what they imagine to be mystical, or even magical, purposes? Some, of course, had thought the "more generic form of evangelicalism" was the norm in America, but it wasn't and it never has been. That it may be in the future could indicate an American movement toward the status quo of post-Enlightenment Europe, but more likely what both continents reveal is less as loss of faith than a decline in the social authority of religion. Religion is less and less the controlling factore of public life it once was, which is not necessarily a bad thing. Some pastors will speak of their congregations as "baptized heathens," and there's always been more truth in that than falsehood. 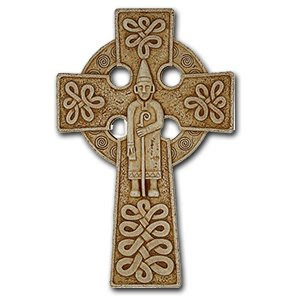 One of the critiques of Protestantism against Roman Catholicism was the worldliness of too many Catholic monks and priests. Chaucer's Monk, some two centuries before the Reformation, is a man of wealth and means, despite his vow of poverty. It is the humble parson who is "a good man...of religioun" and "riche...of holy thoght and werk," but not much else. Just by his placement in Chaucer's Prologue, we know the Monk is far more important to society than the Parson, the "village priest," as the notes to my edition identify him. And just as the 14th century monk would defend his ownership of possessions then as necessary to his "ministry," Rod Parsley, who is no mere "village priest" himself, would defend his wealth and property now. What has changed is simply the influence of organized religion in society; not the players. Baptists, who constitute the largest non-Catholic Christian tradition, have increased their numbers by two million since 2001, but continue to decline as a proportion of the population. Second Baptist Church in Houston, not Joel Osteen's Lakewood Church, was the epicenter of volunteer aid for those evacuated from New Orleans for Hurricane Katrina. Maybe there's a connection between there; and yet another critique of the "mega-church" movement. It's certainly safe to say I'm no fan of mega-churches. And these surveys are of dubious value. What they track is less the reality of church attendance, than the reality of social acceptance. It was once necessary to claim membership in a Christian church. But never in my lifetime has membership been equivalent to church attendance; and I don't think that's aberrational in American history. What's happened now is that church membership is no longer a social obligation. As the culture changes, the interest in Protestantism changes, and that change means a decline in members of Protestant churches. This may be news to the laity, but it is hardly news to the clergy. Some argue the "neighborhood church" is coming back, and will "rescue" Christianity. I think if Christianity survives it will be due to the small church, not the mega-church; and I think Christianity will survive. Mega-churches won't, largely because they, too, are a social phenomenon, not a new and better structure. Mega-churches which try to make religious disciples of their attendees fail miserably at the effort. Theirs is a business model, and even now it may be the ax is being laid to the root of that tree. Mega-churches were very much a product of the last few decades. If that culture is going to be radically revised, the religious institution it created may well have to be revised with it. There is a history of such things in Protestantism, after all. Mega-churches are also cults of personality; and if a new personality is not found to replace the old, they falter, and fail. The legacy of Oral Roberts and the PTL Club and Jimmy Swaggart all loom like ghosts behind Joel Osteen and Mars Hill and even Redeemer Presbyterian. There is a history of mega-churches rising and falling, while "neighborhood" churches go on and on. Why do people go to church? There are as many reasons as there are people to go. Why should people go to church? That's the central question of ecclesiology, and of evangelism. But too far down that road lies madness, as you try either to cajole people into your vision of "church," or castrate your message by equating the greatest good with appealing to the greatest number. What is church is the better question; if only because it is a question without any one answer.